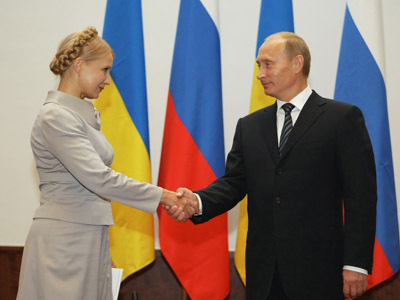 Mixing politics with sport is unacceptable, said Russian President-elect Vladimir Putin, commenting on a possible boycott of Euro-2012 by some European politicians in protest at the treatment of imprisoned former PM Yulia Tymoshenko. “I believe by no means should politics, business and other such issues be mixed up with sport. Sport should be left alone,” Putin told journalists on Thursday. He added that Russia would be glad to receive Tymoshenko for medical treatment if she thinks it possible and “our Ukrainian partners,” agree. Earlier, Kiev stated that possible boycott is reminiscent of Cold War methodology. “Our position is that Euro-2012 is sport rather than politics; it’s football, but not a political summit,” the director of the Foreign Ministry’s PR department Oleg Voloshin told RIA Novosti on Thursday. The tournament will be co-hosted by Ukraine and Poland from June 8 until July 1. Earlier this week, the EU Commission President Jose Manuel Barroso stated he would not go to Ukraine during the championships unless there is a swift improvement in the human rights situation in the country. The Austrian, German and Dutch governments, as well as Belgian Foreign Minister, may also skip the games. 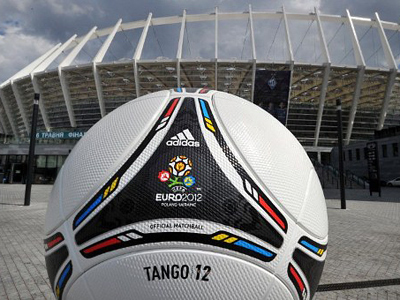 Warsaw stated that calls by other EU members to boycott the Euro-2012 Championship in Ukraine are absolutely inappropriate, given the situation, and are aimed at spoiling the event both in Ukraine and Poland. "In different countries, in the old democracies, there were cases of conviction or prosecution of presidents, prime ministers, but this has never led to a boycott of such competitions," Poland's President Bronislaw Komorowski said, as cited by Interfax-Ukraine. Relations between Kiev and the European Union have been strained by the conviction and imprisonment of Tymoshenko, 51, the main political opponent of President Viktor Yanukovich. Last year a court ruled Tymoshenko had exceeded her powers as prime minister by forcing through a 2009 gas deal with Russia, sentencing the Orange Revolution leader to seven years behind bars. 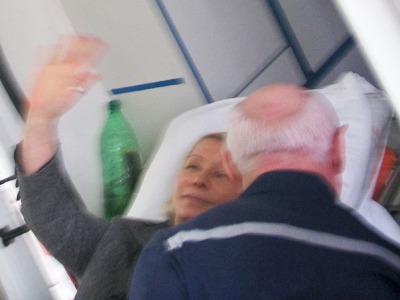 Tymoshenko’s supporters believe the case is politically-motivated. Since April 20, the former PM has been on a hunger strike to protest against alleged mistreatment in Ukrainian prison.